In 1872, two years before Griebel founded his company, August Heissner began his own decorative ceramics business. Both were located in Gräfenroda, Thuringia. Within a few years, both men were competing fiercely to dominate in the garden gnome industry. The question of which is most responsible for the Gartenzwerge is still highly contested. Heissner’s designs, ultimately, have come to be considered the most well-known and reproduced designs worldwide. At the time, however, Griebel and Heissner were not alone; by the early 20th century, there were at least 16 manufacturers of garden gnomes in east Germany, and more in surrounding regions. The brisk business of gnomes continued until the wars. The chaos of World War I slowed production of the peaceful clay gardeners, and likely interest cooled as well. Production resumed after the War, and Griebel’s son, Wendelin, maintained the family business during World War II. From July 1945, however, Thuringia came under Soviet occupation, and in 1948, the production of gnomes was banned in East Germany. Apparently, the bearded earth-dwellers were considered “not to fit into a socialist society”. (Does this answer an earlier question of mine, or merely make the story of the gnome more interesting?) 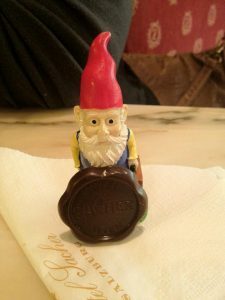 Griebel and Heissner were permitted to export them outside of East Germany, however, and so the limited spread of gnomes proceeded in the Western world post-war. Just as the word ‘gnome’ spread from central Europe thanks to Paracelsus and Pope, Heissner’s and Griebel’s garden grotesques went international. Isham’s Lamport gnomes were a curiosity in the mid-1800s, but it was not long before there were more British gnomes. In 1889, Sir Frank Crisp purchased Friar Park at Henley-on-Thames and, in the shade of a nine-meter high scale model of the Matterhorn, the grounds housed a collection of some 100 gnomes. From what I’ve read, the garden gnome industry remained pretty much isolated to Europe prior to the 1950s. What is certain is that garden gnomes and other lawn decorations took North America by storm in the post-war years. The stereotypical image of suburban American life that includes a white-picket fence and kelly-green grass (freshly mowed) is not complete without a plastic pink flamingo (or two) and a painted little elder to adorn it. 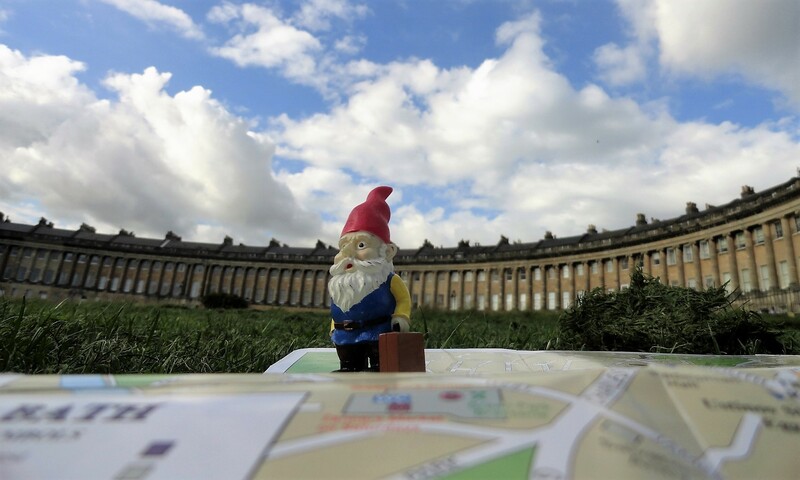 If you’re enjoying my roundabout history of the garden gnome, please read on with Part 4. See, when you do something like this, it’s interesting and informative. If I were to pursue research of this nature, my wife would say “you need to get out more, you’re getting weird”.